Sitting on the northern bank of the River Thames in East London, Rainham is a suburban town in the London Borough of Havering. With a population of over 12,000 and great access to central parts of the English capital, there’s a thriving property market in the area. At My Home Move Conveyancing we offer a specialist, fixed fee conveyancing service, and have been developing our knowledge and expertise of property markets like Rainham’s since 2001. When buying or selling property in Rainham, you need to instruct property lawyers to carry out the legal work on your behalf. 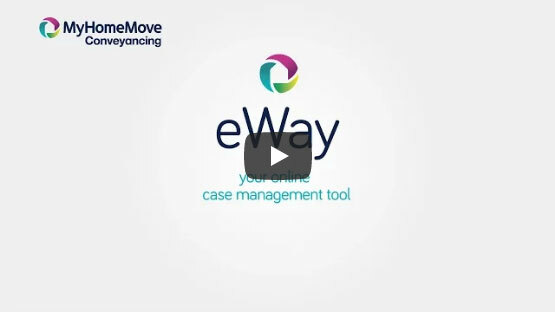 My Home Move Conveyancing offers our clients in the Rainham area an award winning level of customer service, a revolutionary use of technology and intimate knowledge of the local property market. Our fixed fee conveyancing service comes with no hidden extra costs to worry about. When you choose us to be your Rainham conveyancers, you’ll know exactly how much you’re going to pay from the start. For absolute peace of mind, if you don’t end up moving, then you won’t have to pay us anything in legal fees due to our ‘no completion – no fee’ policy. We’ll assign you a dedicated conveyancer, who’ll take care of all aspects of your case right through to completion. You’ll have a consistent point of contact and regular, easy to understand updates. You’ll also get online access to your account, so you can check up on your move status 24 hours a day. At My Home Move Conveyancing we’re proud to assist homebuyers with our conveyancing services in Rainham, from those looking for something in the town centre, close to the train station or by Hornchurch Country Park. The average house price in the borough of Havering is £353,659, while at £309,475, the overall average sale price in Rainham over the last year was lower than this. Most sales in this period involved terraced properties, which went for an average of £305,601, while semis fetched £332,207 and flats £197,419. Recorded as Raineham in the Domesday Book of 1086, Rainham was an agricultural settlement for most of its history. Relying on the River Thames for transporting its goods, access to central areas of London was opened up by new coaching links in the 18th century and the arrival of the railways in 1854. Rainham grew significantly when the capital continued to spread out in the 20th century, and became part of Greater London in 1965. It’s the close proximity to the heart of the English capital which makes Rainham such a great place to live. The town’s train station offers direct services to Fenchurch Street station, which take around half an hour to whisk passengers to the City of London. The A13 road passes to the south of town heading west towards Central London and east to the M25, while London City Airport is ten miles away for when you want to go on holiday. If you’re looking to send your children to school, there’s a good selection to choose from in the local area, including Rainham Village Primary, La Salette Catholic Primary and Brady Primary. Options at secondary level include The Chafford School, which is a specialist Business and Enterprise College, and The Brittons Academy on Ford Lane. All properties in Rainham will fall within one of the following council tax bands.